Aloe vera is a powerful plant with 75 different identified active constituents including various vitamins, minerals, and amino acids. From soothing of the skin to preventing cancer, this plant has numerous uses. This plant has been used for ages for its medicinal, beauty, health, and skin care properties. The most common part of the plant that is used is its leaf. The Aloe vera leaf consists of an inner layer of gel, a middle layer of latex, and an outer protective layer. Do you suffer from hair fall? If the answer is yes, do not worry. You are not alone. Approximately 35 million men and 21 million women suffer from hair loss. We all know the health benefits of Aloe vera. However, many are unaware of the hair benefits of Aloe vera. Yes, your favorite Aloe vera can prevent hair fall and improve the quality of the hair. Let us see some of the benefits of Aloe vera gel for hair. Seborrheic dermatitis is a condition characterized by inflammation of the scalp, commonly known as dandruff. Symptoms of this condition include itching of the scalp and formation of flakes. Fatty acids in the Aloe vera plant have anti-inflammatory properties that aid in preventing dermatitis. Aloe vera also has anti-pruritic properties that reduce itchy sensation. Aloe vera gel cleanses the hair follicle removing extra sebum and other dirt particles. The beauty of Aloe vera is that it cleanses without hurting the strands, unlike other chemical products. Aloe vera cleanses the hair gently and results in healthier, softer, and shinier hair. It also acts as a protective hair layer that keeps it safe from environmental hazards and keeps the hair hydrated. Aloe vera increases blood circulation of the area where it is applied. When used on the hair and scalp, the blood flow to the scalp increases. All this prevents hair breakage and promotes hair growth. Moreover, proteolytic enzymes in Aloe vera stimulate hair growth. Aloe vera is rich in vitamins like A, C, and E. All these vitamins promote cell growth and repair. When applied on hair, these vitamins aid healthy cell growth and repair damaged hair strands. Folic acid and vitamin B-12 in Aloe vera prevent hair fall. Use of Aloe vera on the skin after exposure to the sun is common because of its high collagen content and soothing properties. The vitamin content in Aloe vera can aid in repairing sun damage to the hair. Aloe vera can be used as a leave-in conditioner or standard conditioner: For standard method apply Aloe vera gel on damp hair using your fingers. For a leave-in conditioner, mix Aloe vera gel with an equal amount of water and some oil and transfer it to a spray bottle. For deep cleansing of the scalp, mix Aloe vera gel with an equal amount of olive oil and apply this mixture evenly on hair using a comb. Aloe vera is a natural and safe replacement of harsh chemical products. However, precautions should be taken while using it. Few individuals are allergic to it, and hence patch test on the inside of the wrist is recommended before using it on the scalp. Aloe vera should not be used along with a hydrocortisone cream as it increases its absorption by the skin. With 75 different active ingredients like vitamins, minerals, amino acids, and enzymes, Aloe vera plant is of great medicinal value. From skin disorders to cancer, Aloe vera can manage or prevent numerous health disorders. Benefits of Aloe Vera in Hindi for constipation, dental plaques, and mouth ulcer are not known to many. Leaves of this plant are most commonly used for medicinal purposes. Benefits of Aloe vera for hair are a boon for individuals that are exposed to various dust and chemicals that damage hair. 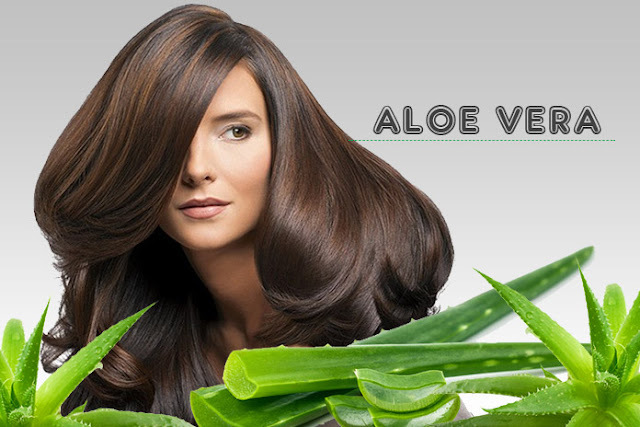 Aloe vera has a natural and safe cleansing and soothing effect on the hair. It also forms a protective layer preventing hair damage from environmental hazards. Hair fall is a very common symptom and is faced by millions. Vitamins present in Aloe vera strengthens the hair and repairs damaged hair follicles, preventing hair fall. These vitamins provide nutrition to the hair, making it smooth and supple. Anti-inflammatory and anti-fungal properties of Aloe vera prevents dandruff and itchy skin. Application of aloe vera gel removes extra sebum and clears dirt from the hair strands. Benefits of aloe vera gel for hair are numerous and hence it is gaining popularity in treating hair problems. Aloe vera gel can be used as a natural conditioner as well as a shampoo. It can be used as a hair mask with different bases according to the hair requirement. However, aloe vera should be tested before applying on the scalp as many people are seen to be allergic to it. If you face itching or have a burning sensation, stop using Aloe vera gel.